As smart speakers are becoming increasingly popular, there’s also been an increase in smart speakers made by third-parties such as Sonos, who made their foray into the smart speaker market with the release of the Sonos One in 2017. 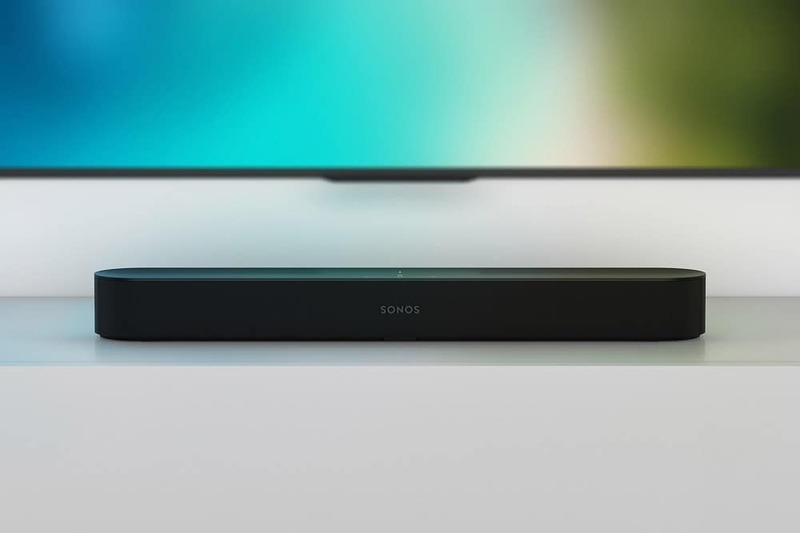 Unlike the Sonos One, the Sonos Beam has been specifically designed to work seamlessly with your TV. 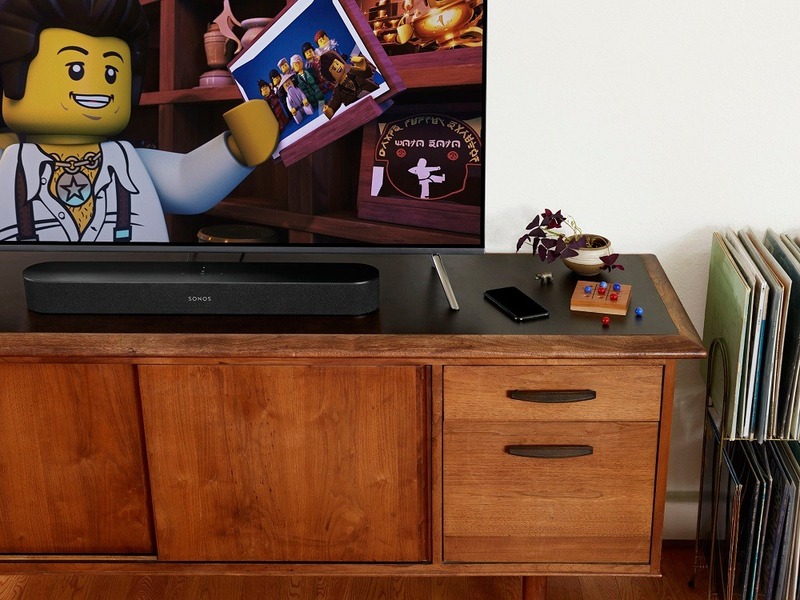 The Sonos Beam takes the form of a soundbar that easily fits on your TV stand or can be mounted on the wall at just 25.6-inches long. 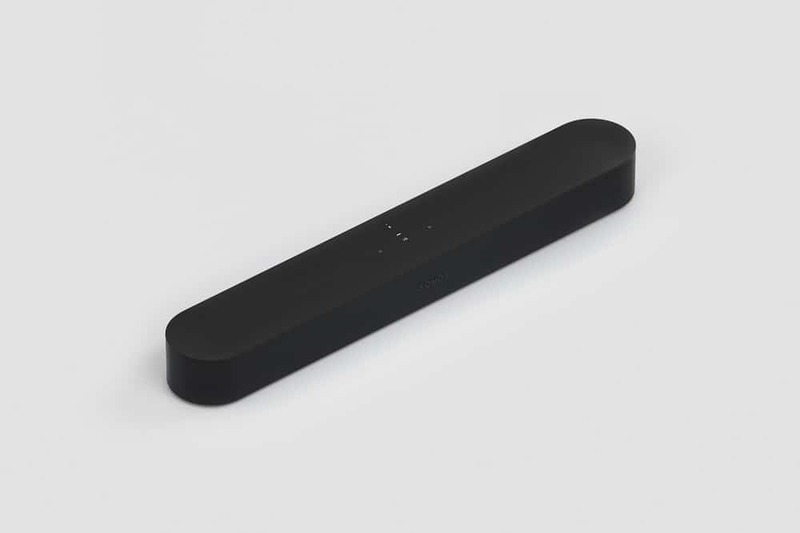 The speaker has a very minimalist design with an embossed Sonos logo on the front and touch-sensitive buttons on the top including play/pause, mic mute and volume up and down. The back of the Sonos Beam is where you’ll find the power port, sync button, Ethernet jack and an HDMI port. To get started all you need to do is plug in an HDMI cord (which is included) into your TV’s HDMI ARC port (if it has one). HDMI ARC basically allows the Sonos Beam to control your TV’s power and volume controls. If your TV doesn’t have an HDMI ARC port, you can plug the Sonos Beam in via the included Optical-to-HDMI adapter. The Sonos Beam comes with a technology called Trueplay which will automatically analyze the room it’s in and adjust the sound accordingly. In terms of sound, the Sonos Beam sounds great with a lot of bass and can get fairly loud especially when in a smaller room. 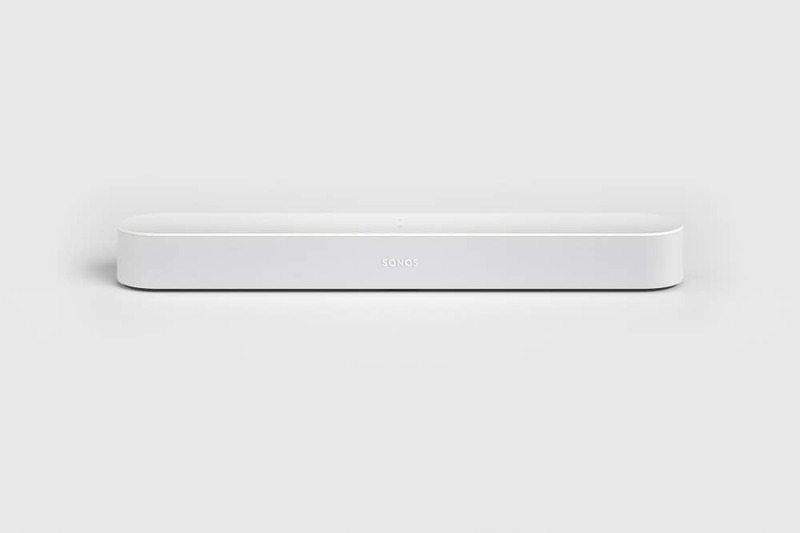 The Sonos Beam comes with noise cancellation, beamforming technology and full multi-channel echo cancellation. 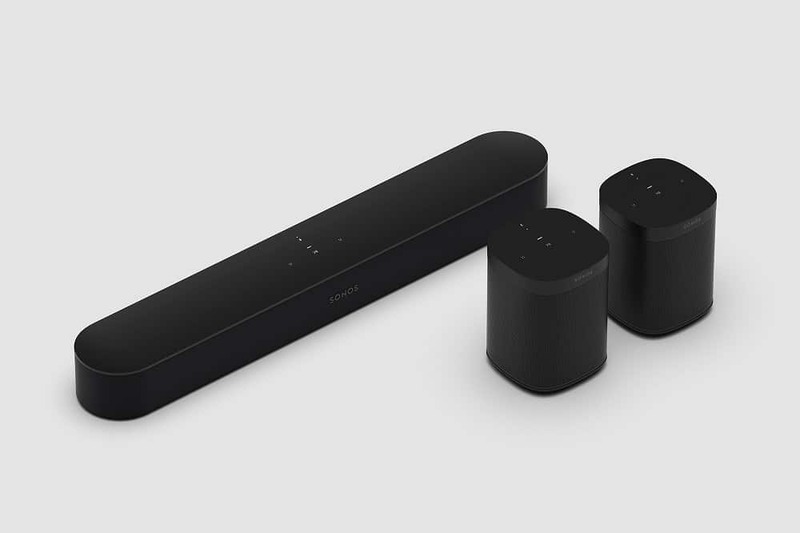 Just like other Sonos speakers, the Sonos Beam was designed to be easily integrate into a new or existing Sonos speaker setup. The Sonos Beam is available now from Sonos’s website, BestBuy.ca and Amazon.ca for $499 CAD. The speaker comes in two colours, black and white. To setup your Sonos Beam, you can download the Sonos app on Android or iOS. The app will take you through the setup process including connecting your speaker to Wi-Fi and creating a Sonos account. The Sonos app is divided into a few sections: My Sonos, Browse, Rooms, Search and More. My Sonos allows you to add your favourite music or collections in one place. Browse is where you’ll find all your connected audio services and music locally stored on your phone. Rooms allows you to control all your Sonos speakers, including multi-room audio playback. Search is pretty straightforward as it allows you to search for artists, songs, albums across your connected audio services like Spotify. The app also lets you update your speaker’s firmware, add music services and also add/change voice services. Sonos says there are over 100 streaming audio services including, Spotify, Pocket Casts, Audible and more. 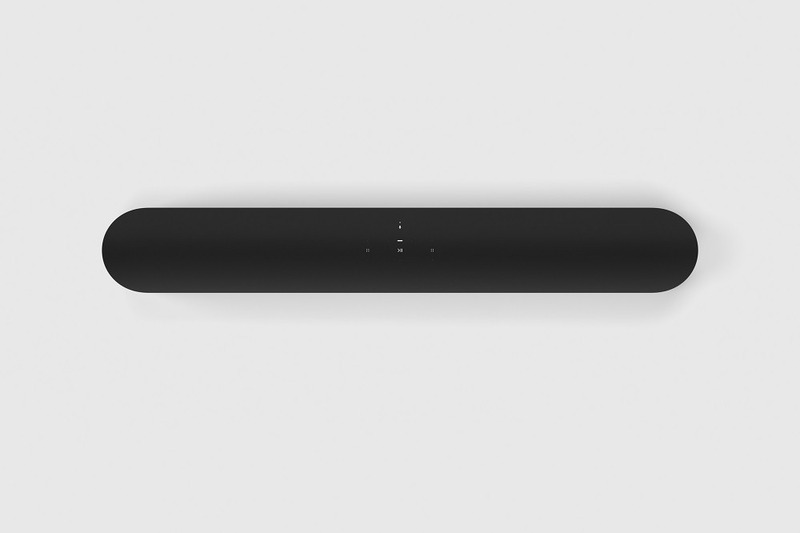 One of the main features of the Sonos Beam is having Alexa built-in which means you can ask her questions or even control your smart home products. You can also use your voice to control your TV with the Sonos Beam. Sonos is in the midst of adding the Google Assistant to the Sonos Beam which is set to arrive sometime this year. 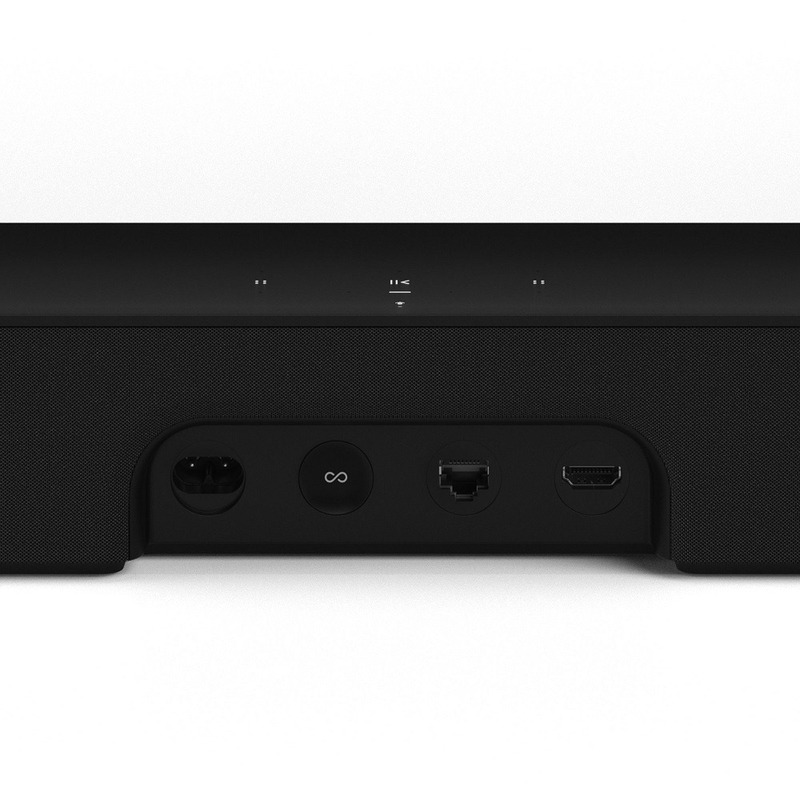 Sonos Beam is one of few speakers that also supports AirPlay 2, which lets you play music from your iOS or macOS devices. Overall, the Sonos Beam sounds great and includes the capabilities of an Amazon Echo. It’s perfect for those who already have a Sonos system or are eager to start one.